Rob Ludlow, author of Raising Chickens For Dummies, runs BackYardChickens.com, one of the leading sources of information on the web on raising chickens — whether they’re at home in urban, suburban, or rural backyards. Rob and his family raise a small flock in their San Francisco Bay-area backyard. 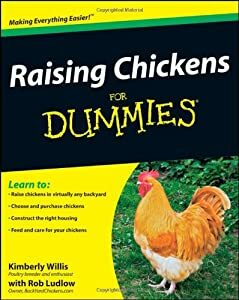 You can LISTEN to this interview with ROB LUDLOW, author of RAISING CHICKENS FOR DUMMIES, by clicking the audio player above!